Misting Tent - A 10' x 10' tent that provides a constant cool, refreshing mist and shade from the sun. For a photograph, please click here. Cooling Station - Large five-gallon coolers filled with ice and tap water to keep people hydrated. For a photograph, please click here. 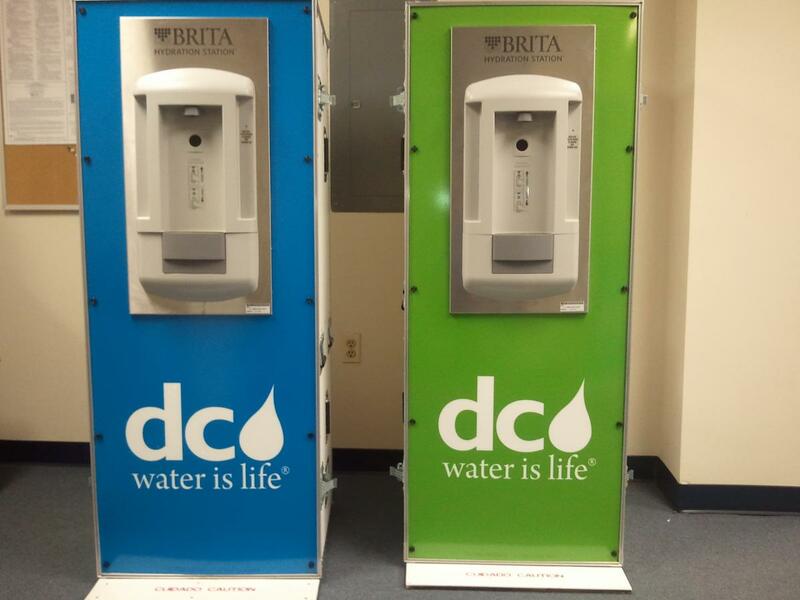 Brita Hydration Station - Portable, hands-free unit that dispenses chilled, filtered water. For a photograph, please click here. 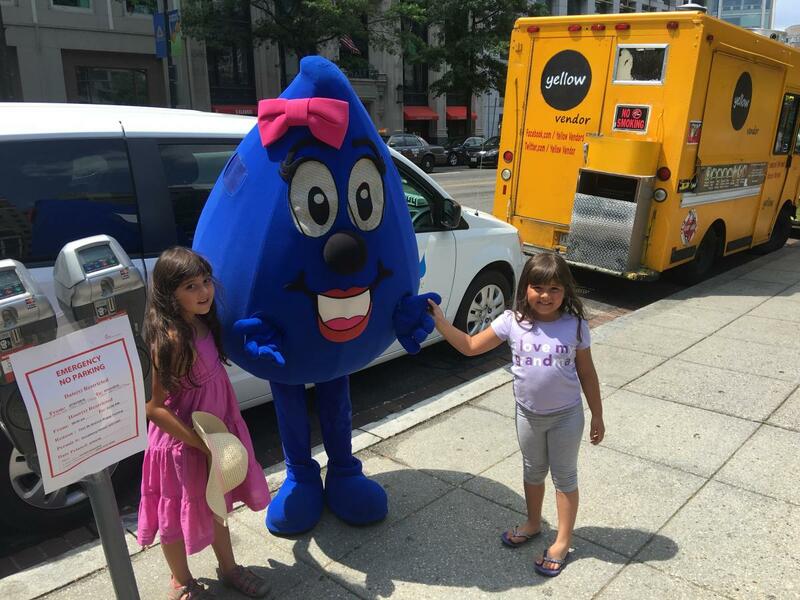 Wendy the Water Drop - Wendy the Water Drop is a major Ambassador for DC Water, and she loves to delight folks of all ages with her animated appearance and warm, inviting presence. 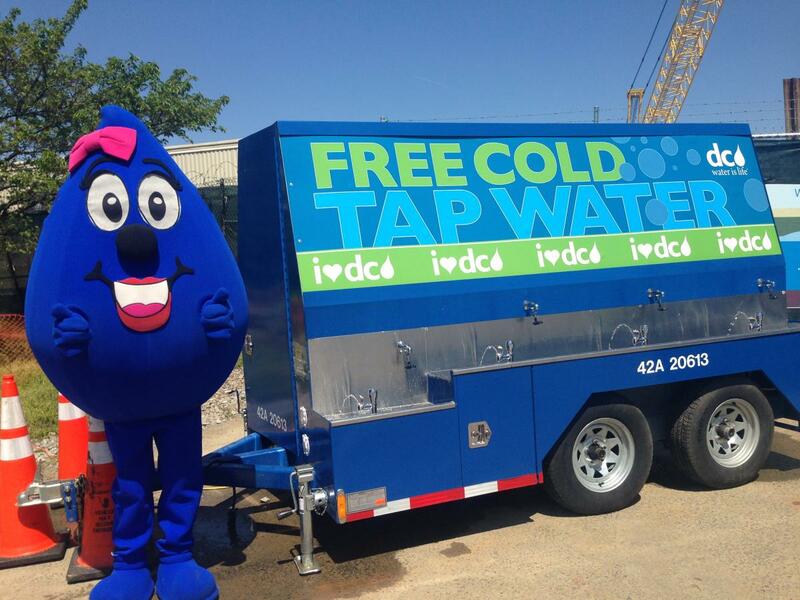 Wendy accompanies DC Water’s outreach team to all public outreach events throughout the city, so you may soon see her at a location near you! For a photograph, please click here. 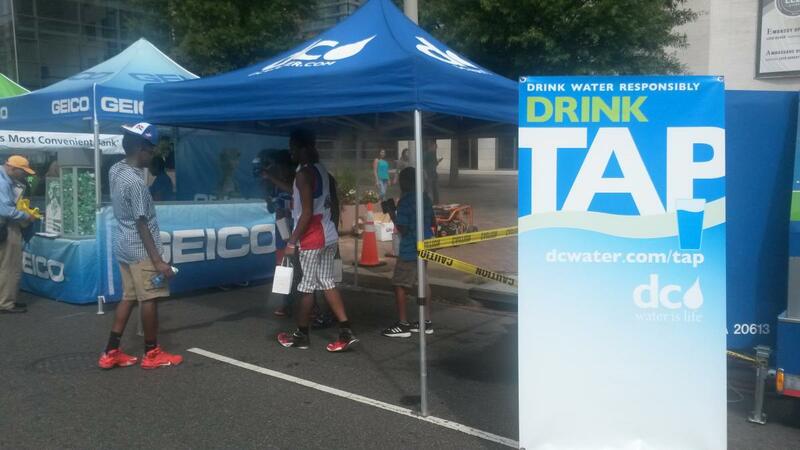 Quench Buggy - DC Water’s Quench Buggy is a major attraction at public outreach events. With 4 fountains and 4 spigots on either of its 2 sides, cool, refreshing tap water may be provided for up to 16 participants at once. For a photograph, please click here. Please utilize the form below to request resources for your event. Requests may be made two weeks in advance, beginning April 1 and ending September 1. 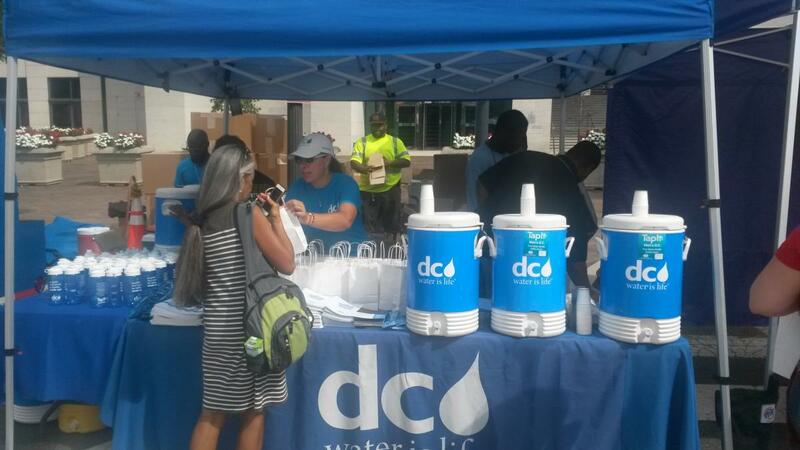 Requests are not confirmed until contact has been made by DC Water.